Finding an adjustable base mattress might be easier than finding the best adjustable base, making sure that base is safe to use with your beloved mattress. Among other factors to consider when shopping for adjustable bed bases, the question you need to ask is, “How long do best adjustable bed base and mattress last?”. So, let’s take a look at the factors that may affect the longevity of an adjustable base. This is always the first factor when trying to determine how long adjustable bed bases last. Although there are many more components to adjustable bed bases, the soundness of the construction is certainly the primary, if not the most important aspect which affects how bed bases work. Adjustable bases need not only withstand the weight of the person sleeping on it, but also be able to provide proper support to the mattress of your choosing. Depending on the size of the bed, as well as the size of the mattress that stems from it, being the pillar of sleep can become an increasingly difficult task for an adjustable base. Also, the joints where the adjustments of the different parts of adjustable beds are made should be built to last. People who buy adjustable beds need to experiment with different sleeping positions, and the base has to be able to withstand all the aspects of this use. That’s why it is paramount for an adjustable base to be made from materials that are able to cope with the weight of all the components that make for a good bed to sleep in. So, when looking for an adjustable base that will be as durable as possible, always start with the construction side of it. In the past, adjustable bases were completely manual. No electrical components to go wrong. Beds used to be adjusted by the sleepers themselves, without any help from modern technology. Nowadays, virtually all adjustable bases come with built-in motors used for adjusting the parts of the bed into different sleeping positions. This certainly eases the use, but it also introduces new parts than can go wrong. And, depending on the model and the price range, there are also features such as the massaging capability, remote control, USB outlets and under-the-bed lights. So, the more electrical components, the more there is to go wrong. Well, it’s not that grim. Although it is far more likely for power or massaging motors to break, it doesn’t happen daily. 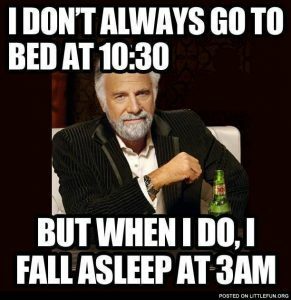 It’s certainly not a good reason to deprive yourself of all the perks of modern sleeping. You should, however, inquire about the manufacturers of the motors and other electrical components prior to the purchase, and do your research. Ask around, check the internet, and see just how reliable all the electrical components present in your bed base are. Finally, the warranty period usually covers all the potential breakdowns of bed base’s electrical components, so even if something does go wrong, you will not be left beached. If you are not in the warranty period anymore, you can give a professional service a call, who excel in electrical installations, repairs and & maintenance. 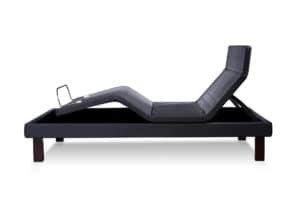 When compared to other aspects of adjustable bed bases, air circulation does not sound like a particularly important factor in the answer to the question of how long do adjustable bed bases last. It is, however, extremely important not to the physical longevity of your base in terms of breakdowns and construction failures, but to the medical aspect of it. A base should not just stand firm for as long as possible. It should also be healthy for the longest amount of time. Air circulation helps eliminate any potential problems that may arise from mold growth. People who buy adjustable bed bases do so mainly to alleviate health problems that surface during sleeping. These problems include snoring, sleep apnea, acid reflux, and many others. All of these conditions can worsen under the influence of various types of mold that can appear if there is insufficient air circulation of the bed base. It is for this reason that air circulation factors into the longevity of an adjustable bed base. 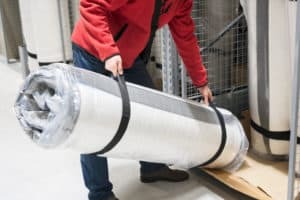 In order for customers to reap the health benefits for as long as possible, proper air circulation is necessary. So, don’t think about just the construction and electrical components when trying to determine how long adjustable bed bases last. Think about your health, too. As nothing is more important. You want to know how long the best adjustable bed base and mattress last? Well, we have the answer for you! Mattress Makers are not only the top trusted manufacturers of natural mattresses in San Diego, but we are also number 1 San Diego manufacturers of adjustable bed bases that last. Because we have total confidence in our manufacturing process, and because we know what materials and components we use, we can safely say that our adjustable bed bases will last a long time. If you don’t believe us, stop by our store and ask about every aspect of our adjustable bases. We know you will like the answers.